There are 7 current downloads. There seems to be an error in DepthDirection, but the merges look good. Fix that and I'll publish it. What error? Does nothing show up? EDIT: I think I found the problem... Fixing! EDIT 2: Ok, it seems to be my BuildAutos but they should work perfectly! What's wrong with them??? EDIT 4: I tried to fix them, but failed, so they had to be removed. Only one level depended on it, it had to be changed slightly. They will be missed. Tell me what you think of the reference to another planet! Quick, I'm sooo impatient! Well, I'm not done testing everything, but I LOVE your chapter! 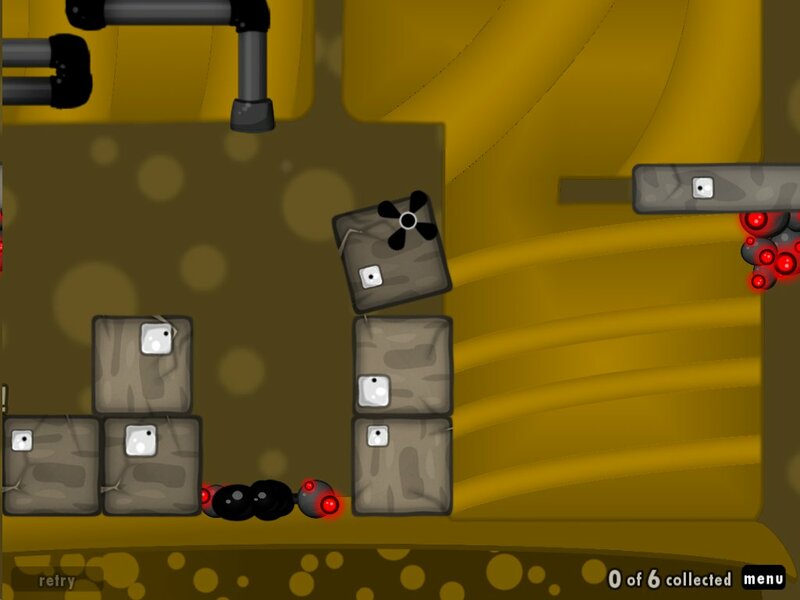 The levels are creative, the art is in the same style as the original game, and you use nice custom Goo Balls and stuff. The only level so far that I haven't understood is the second one (what does the purple Ivy do? ), but the rest are just the right type of puzzle for the game. Keep up your good work. EDIT: Climbing Connection looks hard, but it has a little bug: you can build through the walls on the right side and latch on that way. In the future, please only publish request once, and don't post elsewhere on the forum about getting your addin published. We do get around to these things eventually, even without any input from you. You should know that. Other than the impatience that comes with having a level in the queue (Trust me, I know how it feels. ), very nice chapter. Creative gameplay, new graphics (yay! ), and good amount of challenge on each level. A+, my good sir. I'm jealous of momo and I'm not confident with myself. I have been making - the Goo Giant Plant and I only got 1 beta version - but this buddy put all in one - just as fast as I would make chapters if I would know how - I hope to make beta two and fastly other versions for my chapter. Which makes the level impossible. Yeah, the levels are supposed to be somewhat challenging, the scond one is probably the hardest. Climbing connection is supposed to be solved that way! @Wiki, I didn't make a million betas before releasing because I knew the final version would never be released if I did. SPOILER ALERT!!! 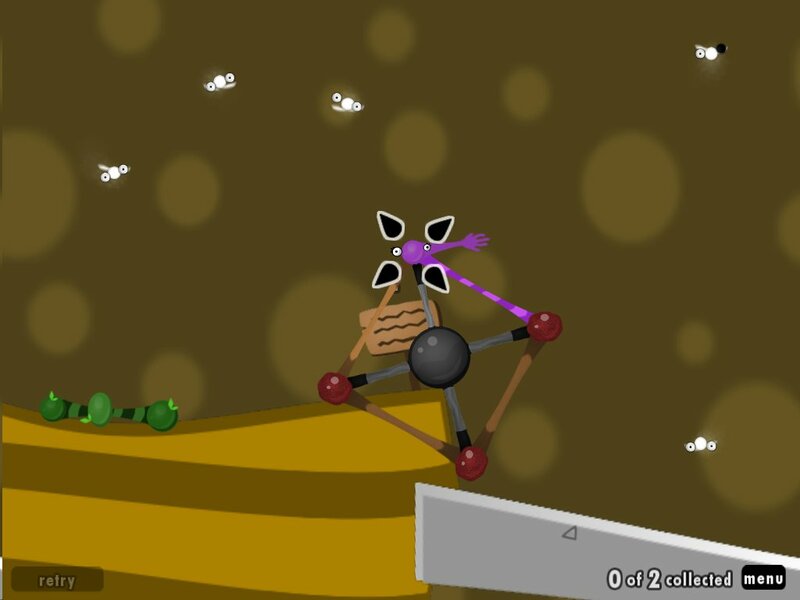 The purple gooball is indeed invulnerable, but only while you hold it (while detaching), you're supposed to flip the bomb cluster over to the blade, saving a gooball, and then you start detaching the purple gooball so it becomes invincible! This wil set the bomb on fire if done correctly, you can also save the purple gooball. END OF SPOILER It says so in the signpost, and you can also skip the level! I don't get the point so you may want to show me a demonstration by showing me a video? I might, but right now, I'm leaving for a couple of days. I really enjoied playing it. The only weak point is the missing OCDs. I don't know how to add them, where do they go? ARE YOU SERIOUS that you dunno where to put them? If we are talking about island.xml then look in the addin file format but if it's about addin.xml then I can't believe it. Person 1: Are you sirius? Person 1: No, you're not. The deal is that you are asking if you are SIRIUS not SERIOUS cuz sirius is a giant planet (Much more bigger than our sun). @momo: The way you have it currently, you'd need to add some more XSL stuff into merge/res/islands/island5.xml.xsl . But what I don't understand, thinking about it, is why you have an XSL in the first place for this, since you're using the XSL to override the entire chapter, anyway (There's also a few XSL syntax errors, which I'm surprised GooTool ignores). You could pretty much block-copy the XML from island5 and just replace it with your own levels. The only case you'd need the XSL is if you're trying to not override the chapter in the first place, but rather add your own one into a different folder. Then you'd be merging your changes into MapWorldView. You're just kinda making more work for yourself here. @wiki: It is a non-obvious question, so shut it. If you two keep bickering, I'll start deleting your posts. And Sirius is a star, not a planet. If you two keep bickering, I'll start deleting your posts. That means I would NEVER bicker from the moment I said it. I was just asking asking him about level 2 of his chapter - is that bickering? MOM you should think about what you write and if there was something like this then I didn't even wonder about this. Ehh... I'm not used to be here... Everyone probably thinks I'm useless and there is nothing I can give and help with. I would be the worse moderator evr on goofans if I get into one because I don't concentrate on what I'm writing. Most people probably wants me to leave... But why...? It's just like you did with the other attributes. Apologies then, wiki. I reckon I misunderstood what you said. 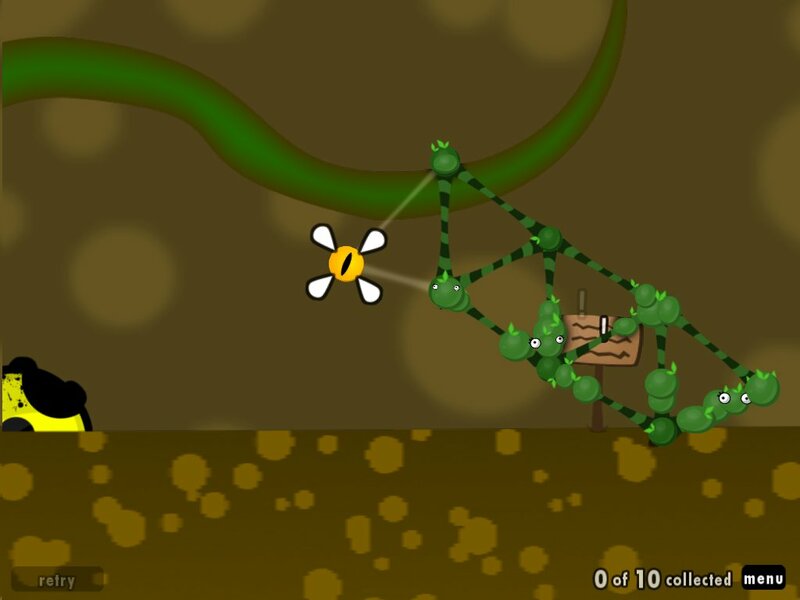 The floaty platforms should depend on both UnderSnake and Climbing Connection. Some music would be nice. 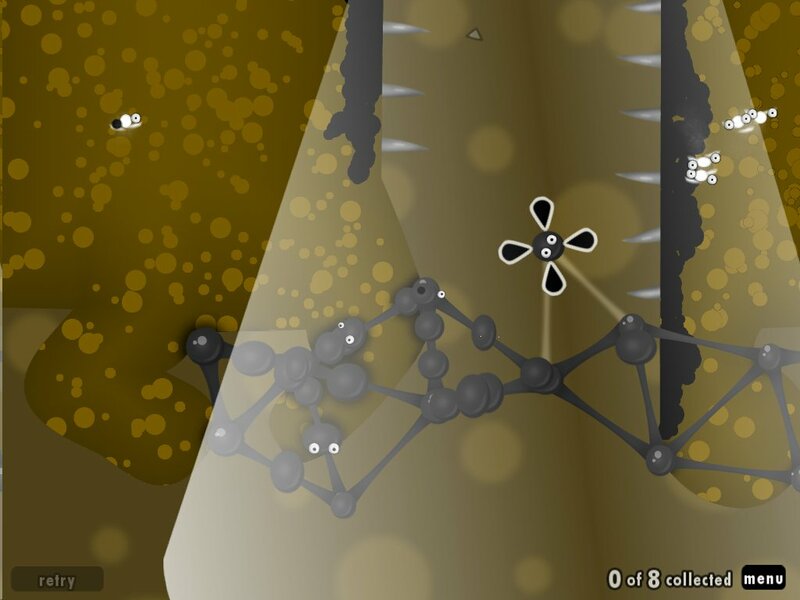 The last Goo Ball could be only for OCD, with a more subtle hint. I can't tell what I'm supposed to do. When I attach to the chain it pulls my structure away and I hear a big BOOM, but nothing else happens (except the chain stretching occasionally). A fadeout transition would be nice if there's no pipe. I'll post more as I continue. EDIT: Just got to the last level. Thanks for the AP references! @MOM4evr: If I wrote the thing kinda rude then sorry, MOM. Next time think about it and try to read it so you do realize what's it really about (Posts). Short question: is the levels tag allowed in the addin.xml, even though it is set to mod? @MOM4Evr Why would I need to make any changes to the MapWorldView? Oh, for the xsl synthax errors, maybe, but I have have limited knowledge of xsl, I used David's very useful diff tool to point it to my chapter map, and change the dependencies and stuff, then put the chapter itself both in override and compile, I don't think I made more work for myself (unless there's an even easier way) what I could have done (but didn't), would be to merge my entire chapter into chapter 5, which would be quite stupid since I would still need the island.xml.xsl. @AP 1. Nah EDIT: I misunderstood, DONE! 2. I'm sorry about the music BTW, my sound system is long broken so I use ear plugs that are way too short, I didn't wear them while testing. The point of the gooball is to avoid the player skipping out on the rectheads guiding the AutoBuilders to the pipe..
4. When I tried to make a cutscene, gootool said it was unsupported, but the movie file also isn't allowed in the override folder. @Goomatz, thank you, that was actually really helpful, I'll add those. I completely forgot the OCD (and sub text?) went in the island.xml.xsl. 1) Ah. The reason I thought it should is because the pipes lead to both so when I beat the first the pipe leading to the empty space appears. You might want to move one. 3) Try cloning the common goo and making it never have autobounds? That might fix the problem. 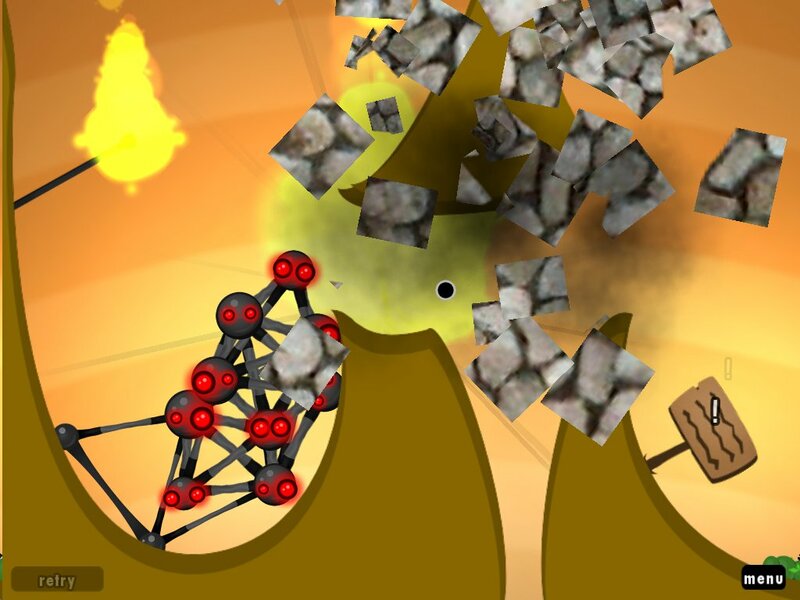 And/or make the level autobounds true so the player has to build up from the top of the chain? 4) Wait, it isn't? I thought binltls were allowed. There must be some way to do it, Gooballs of Fire did it with his intro movie and Goomatz with the tower of water. @momo: Ah, my mistake. I thought you wrote the XSL by hand. But if you used davidc's diff tool, it's probably syntactically correct. Ignore me. i want to download it so bad! 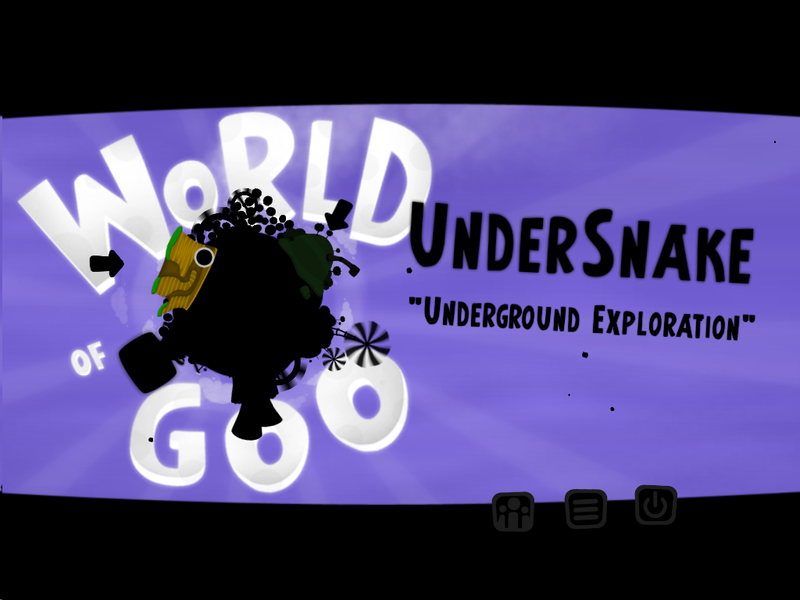 i WILL get world of goo fixed on my computer! I just understood something, the Diff too transforms all the present levels then copies the others, this makes it impossible for me to add an OCD to one particular level without everything getting messed up. EDIT: I just moved FlyingAndFalling as it had no OCD anyway. EDIT2: I added a video explaining how to solve Survival Support. About the depends: yes, you can. Exactly as it says there, with the commas. 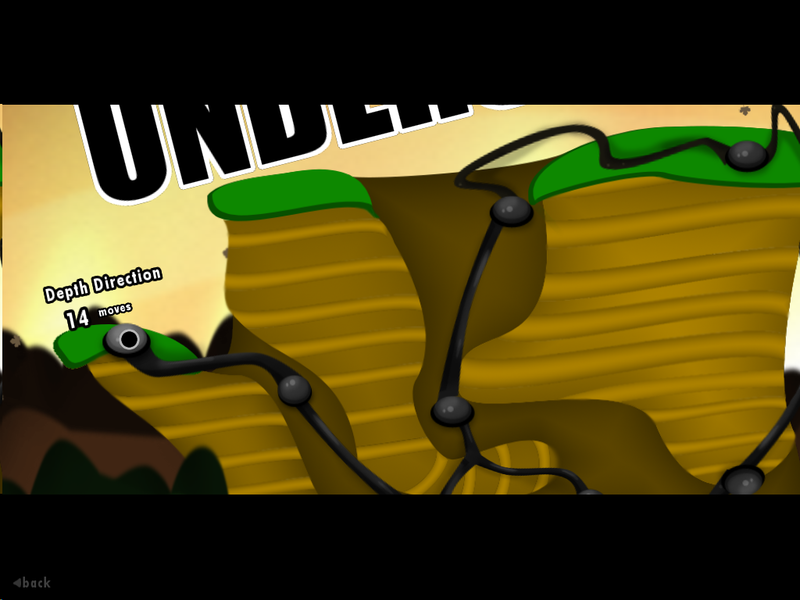 Hey, you know, Climbing Connection is an old design I found for the underground part of NotWog2! Really? I don't even remember that. Where'd you find it? One of MY old designs, I never actually made it, so no one, but me, ever knew about it! Ah, riiight! I forgot you were on the team as well. That's cool. It's a neat level, too. momo, I finished your chapter but you have to think of the meaning of it - what's the story of your game? It's a shame there is no movie. My DEMO will have 2 movies beginning from beta 4 version and 1 movie from beta 2 version (Remember that beta versions are not gona be deleted or archived if they are ok and if they are beta versions. I have technical problems preventing me to add cutscenes, but I do have one ready though. 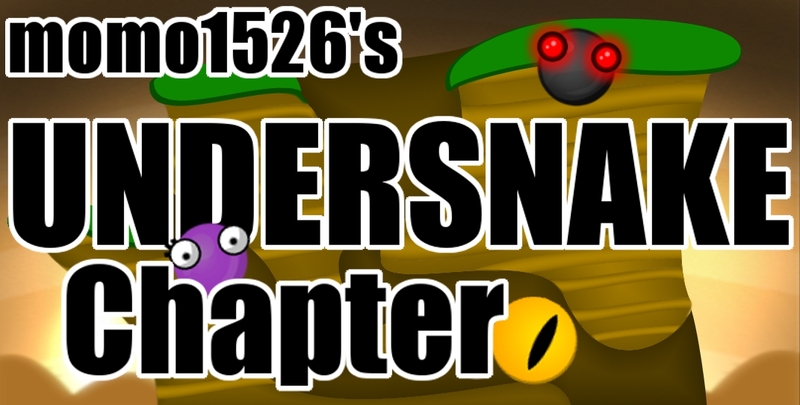 The story seems quite simple to me: You go deep in the underground with the help of the Auto Gooballs and Hand Holder, you discover the snake eye underground, you come back out and use the snake eye to leave to Another Planet. For the record, I don't make betas for the simple reason that it gives up part of the experience before the full chapter is ready, plus most people won't wait around for it to be released. The first version I published was already a full chapter, all I did since was add OCD and fixes. momo, if you are 16 then trust me and believe what I say: I think you could be a good moderator when you gona be 17 or even NOW! I have some problems to reach that (Uhh how I wish I wouldn't had those problems). And I now understand why people don't get into moderators at 13. By the way Puggsoy well done being a moderator while you're 16! Umm, what am I talking about?! By the way I made betas ONLY to tell other people what am I wanna about. I've added some references to this in AP chapter 1 now. Momo, I'm a bit courious about your problem with the AutoBalloons. What happend as the game crashed? Well, it just closes... I'm suspecting a problem with the sound resources. I'll just leave it as so for now, I have a lot on my hands these days... When I have time, I'll teach myself a little xsl, fix the cutscenes and the AutoBalloons. Yeah, the second level is the trickiest, try looking at the video at the top of the page in the videos tab. @Goomatz Yeah, that is possible. I might make it the new ocd, but it defeats the purpose of the HandHolder, So I'll try to fix that! @Wiki You're not a mod, he has the right to praaaaaaaaise my chapter! That how I'm not a mod... Well what do you expect me to do to get into one? And by the way it's he not she, isn't it Nicky Minaj? and you expect yourself to get into a moderator? @Wiki, to become a mod, you shouldn't boss people around, you should help, discover, be respectful, be mature yet be able to take a joke once in a while. I'm sorry to side with dan here, but he's right for two reasons: at this rate, you're not the best choice for a mod, plus we have a lot more people who would be better mods than you, I would personally nominate goomatz and Red waaaaaaay before even considering you. Sorry Nicky for the mistake, I keep forgetting, edited. You could use the unburnable ivys or put a rectangle in the flightpath of the thrown ivy. I was indeed thinking unburnable. Does one already exist on the site? Another small suggestion: expand the scenebounds a bit in height. The platform and ocd flag of the last level isn't fully shown. Yeah I noticed that. It will be fixed in the next version. Two: I'm only 13 yet so in this age you are not allowed to get into a moderator as if fastest 16 years old. Three: Well I'm trying my best but being a moderator doesn't mean that I'll be one of the kings as you said - no - I would love to help people but others argue like momo and tell me that moderators will do it - well what do you expect me to do if I WANT TO GET into a moderator - I know it's not something like higher grade (Well kinda it is...) and I would be happy to be helpful and useful, you know. So tell me 3 points why I could not be a moderator not including that I'm only 13 yet. Bu there is one thing I didn't expect you, momo to say. I though once you're a mod you need to be really serious. AP@ I like your mod but it is rubbish in getting ocd at volcanic peculator day spa cause it will take a while till you detach all the ivies. I restarted to play Tanks online game and for a reason I got 110 crystals twice - today and day before yesterday.